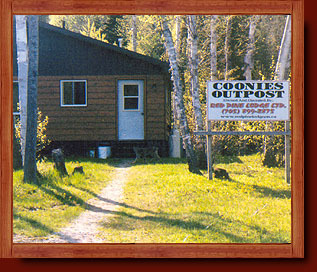 Coonies Outpost Camp is a boat-to cabin located about 20 miles south of the lodge and in the narrows, which is known as the Ivanhoe River. 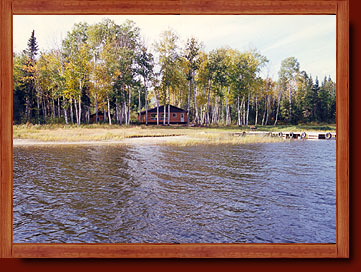 This area is beautiful and has excellent fishing for Walleye, Northern Pike and Jumbo Perch. In the spring there is a high population of Whitefish in the area. 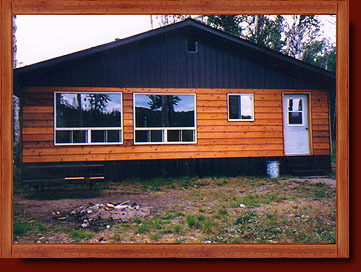 This is a fairly new outpost cabin and is very specious with three bedrooms, equipped kitchen and living area. It sleeps up to 8 people comfortably. 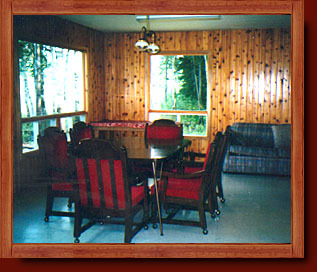 This cabin is fully equipped with running hot and cold water, inside shower and bathroom facilities. It will be very hard to find a remote outpost cabin with the comforts and accessibility to great fishing like Coonies Outpost Camp has.